In April we won the African Responsible Tourism Awards, in the category Best for Engaging People and Culture. The judges’ reasons for winning: “Setting an example that could be replicated in other destinations, Cape Town-based Coffeebeans Routes creates travel experiences around urban stories. These are contemporary, urban, African experiences that provide deep insights, and plenty of fun. The experiences bring visitors and locals together across boundaries. Unapologetic about pushing social justice agenda, Coffeebeans Routes employs tourism as a tool to unlock economic potential and address societal inequalities through exploring cultural diversity and legacy”. 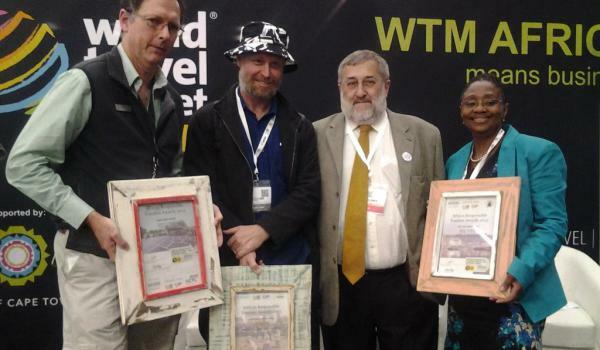 In October, we won the Skal International Sustainable Tourism Awards, in the category Tour Operator. Click here for more on our sustainability approach and policy. And for more on the Storytelling Economy, click here.